When it was first introduced in Bhutan sometime in 2008, Mountain Hazelnut Venture promised it will deliver numerous benefits such as improvement of the livelihood of the farmers, generation of employment and promotion of environment conservation, immediate socio-economic benefits to the farmers through closely involving in the nut cultivation. However, they might have missed few more salient benefits that may not have been considered. Some people say one such salient benefit that has been overlooked is providing some respite to the human- wildlife conflict. They reason out that besides providing the nut for commercial purpose, the same nut might also serve as food sources to various primates and other wild animals. One official has looked into the hazelnut cultivation and its benefits to Bhutan said the nuts are very much palatable to animals such as the monkeys, deer, wild pigs, and porcupines. The animals, he said, constitutes the primary species involved in human-wildlife conflict in Bhutan. He explained that these animals ravage the farmers’ field due to human factors, not much has been left in the forests to eat for them. “What do you do when you don’t have food at your disposal?” he asked. The reason why they choose to visit the farmers’ fields is ultimately to find food. But with two million mountain hazelnut trees to be cultivated in Bhutan over next few years, it will make available almost enough food for the primates and other wild animals. Then, farmers believe that fewer wild animals will destroy and damage their crops, sparing the bigger chunk for them to harvest. Some said mountain hazelnut cultivation might prove to be blessing in disguise, especially for the farmers in Bhutan. The Mountain Hazelnut Venture in Bhutan started with the establishment of their first two orchards in Rangshikar and Yongphula in Trashigang in October 2010, where the first mountain hazelnut trees were planted. Since then, they have targeted to plant atleast two million trees spread over the whole stretch of the country. At the end of April this year, the project has reportedly planted some seven hundred thousand hazelnut trees in Bhutan with 2000 households participating in the project. The majority of the involving famers are said to be from the eastern districts. However, the hazelnut business in Bhutan was the culmination of the memorandum of understanding (MoU) signed between Bhutan’s Ministry of Agriculture and Forests and the Hong Kong based Mountain Hazelnut Venture Limited which was executed on January 30, 2009 in Thimphu. The letter of intent was later signed in March 2009. 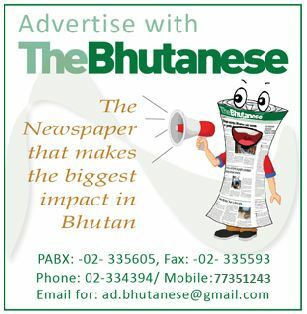 According to reports, the venture is hoping to capture a portion of the world’s market with Brand Bhutan when the products will be sold in the global market in the name of Bhutan. Besides, the venture also targets to make use of the barren land for greening and carbon sequestration indirectly, while at the same time not having to compromise on food security. The venture also planned to establish a trust fund for the benefit of the farmers. Hazelnut cultivation in Bhutan is also said to be a new business except for some trees cultivated for research purpose, the hazelnut plantation in the country is considered fairly new and untested large-scale venture. Mountain Hazelnut Venture is known to be a social enterprise which was founded in February 2010 with the social, economic and environmental objectives. The project with its nurseries at Lingmithang in east and Paro in western part distributes young hazelnut plants free of cost to a large number of subsistence farmers in Bhutan. As per the understanding, farmers plant the freely distributed seedlings in their private lands. When the trees start bearing fruits, the farmers are supposed to harvest and sell the resulting nuts back to no other than the company at a price negotiated between the Bhutanese Government and the company. This way, it is expected to significantly increase the cash income of participating farmers, improve the environment by reducing erosion and preserving rural Bhutanese communities.